Peak foliage has arrived at Killington Resort along with lodging deals and the biggest Brewfest weekend ever with the Brewmaster Dinner, Kickoff Party and over 70 beers on tap at Brewfest. The K-1 Express Gondola will spin daily, October 1-10 from 10:00 a.m.-5:00 p.m. offering scenic rides to Killington Peak that feature spectacular views of five states and Canada. Plus hiking and the Killington Golf Course are open daily through October 10. Route 4 East and West are open, so get in your car and head up to Killington to check out nature’s fireworks. Soak up autumn’s broad palette of red, gold, orange and amber and save with a lodging package that includes a round-trip ride on the K-1 Express Gondola to a magnificent view atop Killington Peak. Additionally, starting October 2 -10, book a two night stay and get your third night FREE, plus everyone on the reservation gets a FREE round-trip ride on the K-1 Express Gondola. With a number of on-mountain improvements wrapping up and the 2011-12 ski and snowboard season quickly approaching, now is the time to grab your Killington Season Pass before the price increases on October 14, 2011. At Killington Resort this winter, you’ll experience the all-new Roaring Brook Umbrella Bars and deck that replaced the Superstar Pub, newly re-graded trails, improved snowmaking and tons of great events including the Winter Dew Tour, January 19-22, 2012. October 13, 2011 is the last day to grab your Killington Season Pass before prices increase. Additionally, all Killington Season Passes are also valid at Pico Mountain. Save big this season with K57 tickets and Express Card. You’re no stranger to Killington Resort and your loyalty shouldn’t go unrewarded. So, Killington is offering you this season’s absolute best deal on the largest variety of lodging. It’s all part of our RSVIP program exclusively for returning skiers and riders. But, like most things in life, you need to act fast because this offer expires November 18, 2011. To book, call 800-320-7797, or visit http://www.killington.com. Many Vermonters including local farmers lost everything in tropical storm Irene. Many people are already helping the storm recovery in a variety of ways, however, here’s another chance to offer your support. Killington Resort created an online auction, “From the Ground Up,” to assist Vermont farms that sustained damage from tropical storm Irene. All proceeds from the auction will go directly to the Vermont Farm Disaster Relief Fund to help local farmers begin to rebuild. Starting September 12, 2011 at 8 p.m. EST, From the Ground Up will open online for bidding on items such as an Unlimited 2011-12 Killington season pass, first gondola ride of the 2011-12 season, two VIP passes to any one of the 2011-12 Dew Tour stops, including 2 one-day lift tickets to the host resort, one week of Woodward Camp at Cooper Mountain, Red Sox tickets for four at the Budweiser Roof Deck Table, a Burton Nug snowboard signed by Jake Burton and much more. Fortunately, Killington Resort received minimal damage from tropical storm Irene, however, many of our local farmers lost everything. From the Ground Up online auction will help Vermont farmers replace infrastructure as well as help cover losses sustained from the storm. Killington Resort expressed gratitude for the generous auction items provided by local businesses as well as Resort partners and sponsors. From the Ground Up auction bidding will conclude on September 25, 2011 at 8 p.m. EST. The holidays make December all the more enticing in Vermont’s snowy mountains with festivals, events and good natured cheer emanating from the resorts. Here is a sampling of some of the resorts’ special holiday events and deals. Families visiting Smugglers’ Notch Resort over the winter holiday periods will enjoy a full complement of package inclusions and special activities like bonfires and barbecues during Christmas Week and New Year’s. 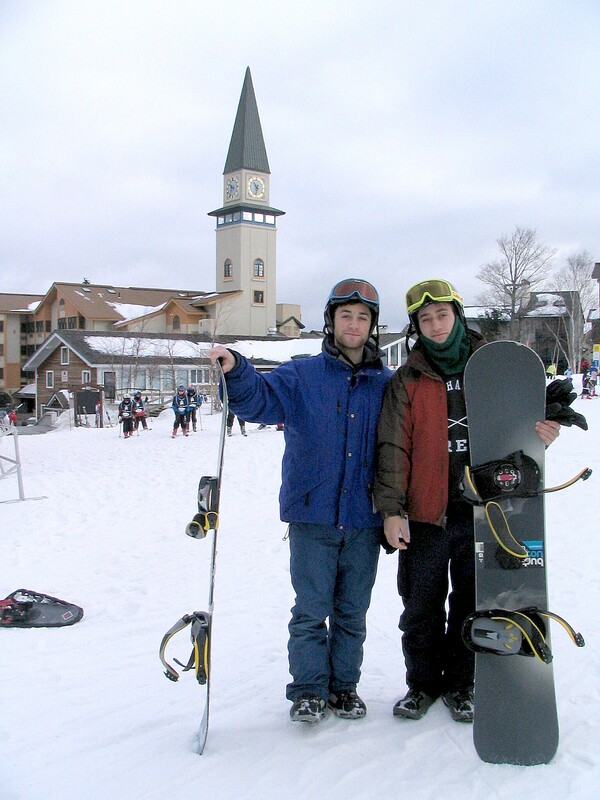 Bolton Valley Resort created a line-up of fun holiday events for Christmas Week 2010 that are family-oriented and affordable and with all-inclusive packages that offer true ski-to-your-door lodging. Families will enjoy a holiday week filled with skiing and riding, fireworks and more. There is no better time to come home to Stratton Mountain Resort than the holidays. The resort is keeping with tradition and has planned a season full of extraordinary events from the popular Ross Powers Boardercross Camp to the much anticipated Winter Yoga Cleanse. Heading into the holidays, Killington Resort is decking the halls and celebrating with events, free learn to ski/snowboard days and attractive vacation package deals. 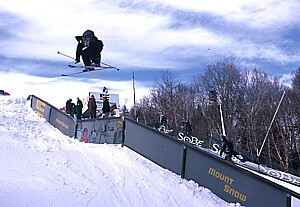 Some highlights include the Rails 2 Riches Rail Jam and the celebration of World Snowboard Day. The Mountain Top Inn & Resort, just 11 miles from Killington, is offering affordable winter packages for everyone. The resort features its popular Nordic Ski & Snowshoe Center, with an extensive trail system of 60km and decadent cuisine to enjoy after a day of outdoor adventures. At Stowe Mountain Resort, buying lift-tickets seven days in advance saves money and adds value, even during the holidays. Stowe’s Vacation Rewards Program combines lift tickets with a menu of other on-mountain benefits, and many Stowe area lodges are combining it with a place to stay. Okemo Mountain Resort celebrates the holidays with visits from Santa and a family New Year’s Eve celebration that includes a dance party and a fireworks display. 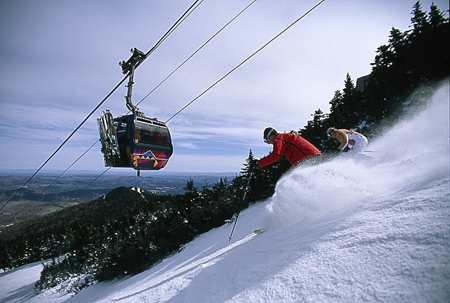 To sweeten your post-holiday travels, Ski Vermont has flight discounts and ski packages available. Visit www.jetblue.com/deals/ski-vermont and use promo code SKIVT for 10% off your flight between 1/5/11 – 2/15/11. This offer is available on trips booked before 12/18/10.